This recap was written by Betty because she’s the Hulk! A normal teenage girl named Clary goes to a club one night. This night changes everything, as it turns out she isn’t as normal as we thought! She is able to see Shadowhunters, demons, warlocks, faeries, werewolves and even vampires!) Turns out SHE is a Shadowhunter too! Her mother gets kidnapped by her father, a Shadowhunter gone evil. 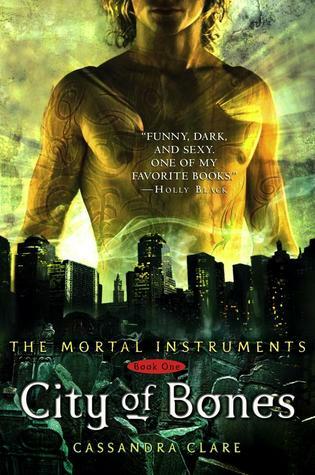 She falls for a hot Shadowhunter named Jace as she sets out on a mission to save her mother and find the Mortal Cup! Clary goes to a club with her best friend Simon. She sees 3 strange looking teenagers (Jace, Alec & Isabelle) loaded with tattoos murder a random kid, that actually turned out to be a demon! The next day she gets coffee with Simon, but is tracked down by Jace, one of the murderers she saw at the club. She freaks out and heads home, where she discovers that her mother (Jocelyn) is gone and the apartment is trashed. She is greeted by a demon! It bites her, but Jace heals her with a rune because it turns out she is a Shadowhunter too! She needs to find her mother, so she enlists the help of Madame Dorothea, a psychic that lives in her apartment building. She goes through a portal that takes her to Luke’s (close friend of the family) house/bookstore. She finds Luke talking to a couple of strange guys and acting unlike himself so she returns to the Institute to find some answers. Clary finds out some new information about Shadowhunters and her history. Throughout childhood, Clary’s mother took her to see Magnus Bane, a warlock that put a mental block on her mind to keep her from knowing the truth. Clary and Simon attend a party at Magnus Bane’s apartment along with the Shadowhunters in attempt to have the mental block removed. Simon is turned into a rat, kidnapped by vampires and taken back to their domain. Jace and Clary rescue Simon from the vampires, but get injured in the process. No worries, though. The Institute has an infirmary! Jace takes Clary on a picnic in the greenhouse for her birthday where they share their first kiss. YAY!! He even gives her a witchlight rune-stone. However, Jace is irritated when he walks Clary back to her room only to find Simon in her bed. OUCH! Clary discovers that her mother was taken because Valentine wants the Mortal Cup. She figures out that her mother hid the Cup in one of the tarrot cards at her neighbor’s apartment. Obviously, she goes there with Shadowhunters only for Madame Dorothea to be possessed by a mega Demon named Abbadon! It was a close call, but they manage to get away with the Cup! Alec gets badly injured. They go back to the institute where Hodge (the house mentor of the young Shadowhunters) betrays them by giving the Cup and Jace to Valentine!!! They had been allies all along! Clary freaks out and goes after Hodge. He attacks her, but Luke arrives to save the day— and GET THIS.. he is a werewolf! They team up and set off to rescue Jace and her mother. They find her mother unconscious and chained to a bed in an old abandoned hospital on Blackwell’s Island. Jace drops the bomb that Valentine is his father. He found out that he is really Jonathan Morgenstern, not Jace Wayland. You know what that means— THEY ARE SIBLINGS AND THEY KISSED! YUCK! There is some battling, but Valentine escapes through a portal and takes the Cup with him. Clary visits her still unconscious mother in the hospital every day. Back at the institute, Clary & Jace try to come to terms with the fact that they are brother and sister, yet they are both totally crushing on each other regardless. Hellooo creepy! To take their minds off the situation, Jace takes Clary for a ride on a flying motorcycle powered by demon energy. Yuck. Reminds me now why I never picked up the second book… the whole siblings thing… creeped me out. We missed this comment before, but it’s been deleted now. Sorry you were spoiled! Thank you for summarizing the book for me. I just finished reading it, but I had some parts I didn’t totally understand. Thank you for this :D! With the movie about to come out this was supper useful!!! Where in the book does Clary realize Valentine is her father? ?